Artist Anna Kristina Goransson and musician Maria Finkelmeier collaborate to create an interactive multimedia installation inspired by the sights and sounds of summer in Sweden. 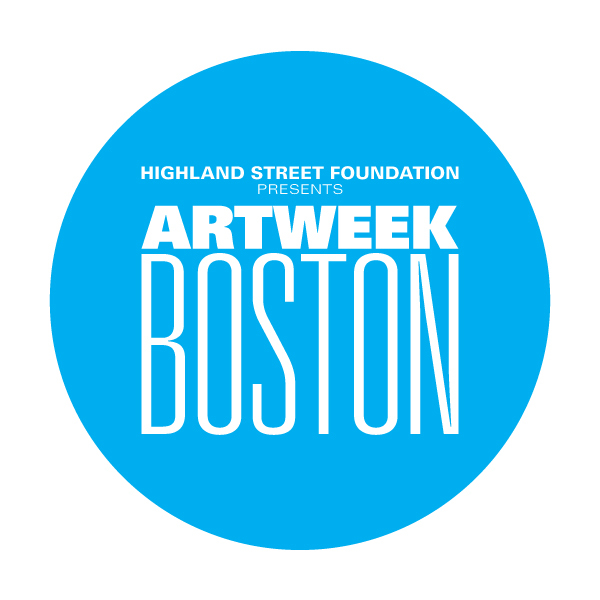 Presented as an official event of Newton’s Festival of the Arts and ArtWeek Boston, artist Anna Kristina Goransson and musician Maria Finkelmeier collaborate to create an interactive multimedia installation inspired by the sights and sounds of summer in Sweden. Goransson’s organic felted wool sculptures combine with Finkelmeier’s percussion-based soundscapes to immerse the spectator in the solace of Swedish summers. Read a blog post about their process here and here. 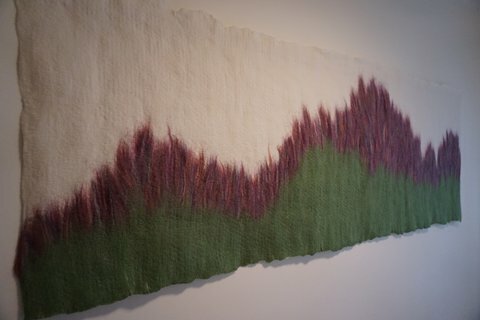 She continued her felted work as an artist-in-residence at Oregon College of Art and Craft in 2009. 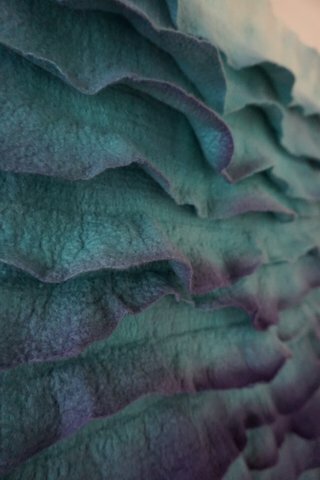 Kristina maintains her love for felting and continues to explore wool’s possibilities, finding new ways to push the limits of the material. She teaches workshops to educate others about the incredible versatility of wool along with other fibers processes. 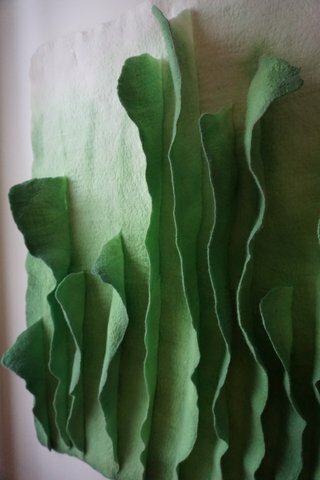 Kristina continues her work as a maker, creating art influenced by the beauty of form and pattern in nature. Described by the Boston Globe as “unfailingly energetic,” Maria Finkelmeier is a performer, educator, and active arts entrepreneur based in Boston, Massachusetts. Prior to rooting in New England, she spent three years in Northern Sweden at the Piteå Institution for Music and Media as an artist in residence. She is co-founder of the international percussion group, Ensemble Evolution, with whom she has given performances and masterclasses throughout Europe, Australia, and the US. In 2013, Ensemble Evolution presented a showcase concert at the Percussive Arts Society International Convention, performing their self-composed and released album “Sounds from the Treetops.” Maria’s clarinet and percussion duo, Clone Duo, has also performed internationally and recently merged with Sweden duo En Vokalist & En Cellist to create Quartet Kalos. Maria currently serves as Program Manager of the Entrepreneurial Musicianship Department at the New England Conservatory, helping to equip young artists with the skills they need to build fulfilling musical lives, directs the free outdoor music event Make Music Boston and is the Percussive Arts Society Massachusetts State Chapter President.